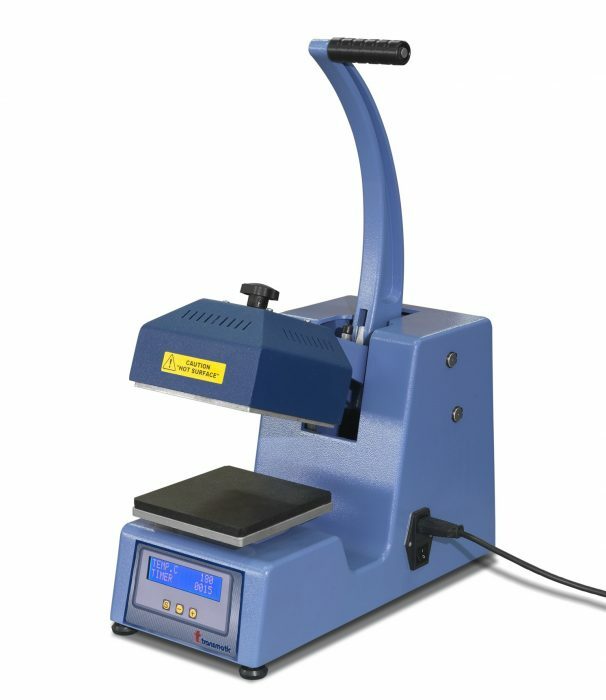 Manual heat press, operated by a new concept of levers. The top plate is not fixed in a rigid manner but will adjust automatically to ensure a proper uniform pressure between the two plates. Digital electronic time and temperature regulation. Exchangeable under plate with rapid screw fitting. Suitable for any type of heat application.